This was one of our main questions in developing the Branding funnel, the approach that helps companies develop successful brands. We conducted in-depth interviews with more than 40 successful startups and stakeholders. We investigated some of the most successful startups from the region (like Bellabeat, Degordian, and Celtra) as well as startups from the world’s leading entrepreneurial ecosystems, like Silicon Valley (e.g., GoOverseas, MyTraining, Teaman & Company). Initially, we thought that only some specific knowledge was needed. However, we were surprised (positively) at the diversified, deep, and up-to-date knowledge successful startups actually possess. They need this knowledge to remain within the 10% of startups that survive. Most successful startups had founders (and other team members) with a good and deep industry understanding, as well as the capacity to “predict” trends. This means profiting from the latest technology that changes user behavior, either business or final customers. The founders do not focus on the present state but try to think of what will come next. So, their teams need good technical knowledge, as well as an understanding of how to upgrade their products from a business perspective. In practice, this means that they were able not just to develop excellent products, but through a good understanding of their present and future customers upgrade and transform their products into great brands that deliver unique experiences to their customers. In many circumstances, the initial idea was to transform, upgrade, or sometimes even change in this process. The startup team needs to possess an appropriate mix of relevant knowledge and skills which combine technical and marketing perspective on doing business. A great combination within a founding team (many times even a real-life couple) is technical or industry-specific knowledge and marketing know-how (e.g., to understand customers and their behavior, to understand social media and be able to write and present a great story, to be able to find customers and make sales). In addition, startups mostly need other knowledge and skills like design. If possible, startups prefer to have all this knowledge within their team members, as it’s important also for a designer and social media strategist to understand the essence of the brand and its story. However, of course it is not possible, especially with inexperienced founders and other team members, to have deep knowledge from the beginning. It is important to have some knowledge and to start applying it as soon as possible to obtain feedback on ideas, prototypes, and other items. Startups’ success will usually be determined by how fast they learn from experience, upgrade products with insight, and learn new knowledge and retry in the next iterations until they find the right brand-market fit. It is important to “run” fast and for all team members to understand in which direction they should “run!” In doing this, most startups will be able to access new markets, investors, and information and, with the right brand, will be able to hack their growth. The right idea, some knowledge to start, preparedness to iterate and learn, a lot of hard work, and some luck – all are needed! Miha Mikek, founder of Celtra said in our interview that Celtra had luck. Yes, it probably did have (some) luck, but before and in addition to luck, it had and still has a great team, which is capable and skillful in transforming Celtra’s vision into reality. Knowing and understanding the industry, customers, competitors, as well as yourself (skills and resources) is essential for startups! Take all the time you need to validate your steps with potential customers, try to understand them, learn fast, and implement changes. Within your team, have diversified knowledge. A team of only skillful technical people is not sufficient to compete in today’s circumstances! Combine technical and marketing skills within team members! No one succeeds just by luck. Before luck, people put in a lot of work and develop the right knowledge regarding how to implement a vision! Upgrade your product to a successful brand. Help yourself with the Branding funnel approach. 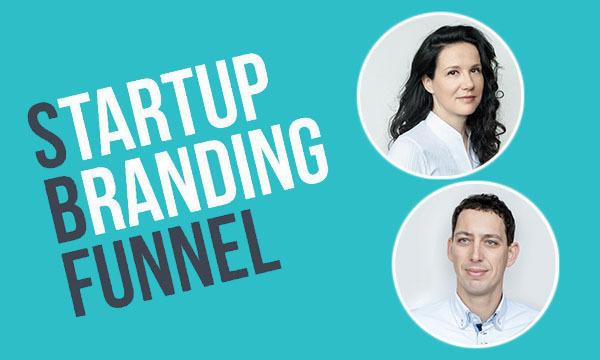 Win your copy of Startup Branding Funnel book! 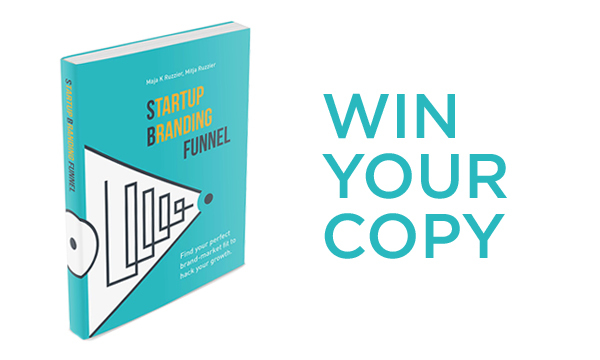 Giveaway: Win a copy of Startup Branding Funnel book! Answer the following question in the comment section below and enter the competition: Name at least 5 CEE startups/companies that appear in the book! The results will be announced on October 21st. We will award four users with four books. The authors of the article: Mitja Ruzzier and Maja Konečnik Ruzzier. Mitja started his career as an entrepreneur with his own company but recently moved to academics. Currently, he is professor of entrepreneurship at the Faculty of Management at University of Primorska, Slovenia. In addition to being lecturer, researcher, consultant and speaker, he is author of several books, including Marketing for Entrepreneurs and SMEs, and Startup Branding Funnel. Bellabeat, FlyKly, Layer; Degordian, Celtra. Bellabeat, Degordian, Celtra, FlyKly, Layer.